Apr 29, 2015 /5 Comments/in Success Newsletters /by Patrick Wanis Ph.D. In this week’s Success Newsletter, I would like to reveal that despite the lies, men are evolving based on a new survey of the 21st century man. Why do the media, TV shows and advertising choose to portray the typical man as a stupid idiot – inept, bumbling and clearly inferior to women? Read more. Follow me on Twitter– You can now choose to follow me and receive a few words of wisdom on Twitter: @Behavior_Expert. We automatically think of anxiety only in terms of the physical experience without giving credence to the psychological component. Anxiety has its roots both in the hardwired response to threats and our thought process. Learn how to reduce anxiety now. Watch my video here. Now, let’s talk about the lies and the truth about modern men based on a new survey of the 21st century man. It’s good news for women who have been calling for gender equality. The modern man is truly modern and evolving according to a new nationwide survey. However, yet again, the media chose to twist and lie about the survey findings with the intention of making men look bad, inadequate, selfish and unevolved. The Shriver Report Snapshot: An Insight Into the 21st Century Man, was quickly snapped up and twisted by the media to portray men as wanting to control their partner while hypocritically encouraging independence in their daughters. “…according to the results from a new survey, it’s still pretty bleak out there, double-standard-wise” writes Sarah Jacoby on MSN, while The Washington Post publishes “The disturbing differences in what men want in their wives and their daughters” by Danielle Pacquette. What is this “disturbing” and “most depressing” finding? As I will elaborate, the above mentioned articles are 2 examples of how these writers twisted the actual findings, omitted other critically positive findings of the 21st century man and completely misunderstand (either deliberately or out of ignorance) the roles people play in relationships and thus the qualities each of us seeks or prefers in our partners and in our children. This is not a shocking expectation or preference: an intelligent parent knows that for a child to succeed when growing up, leaving home and entering the unsheltered world and workforce – he, or she, must be intelligent, independent, strong and principled. This is part of a basic formula for success and is not necessarily gender specific. Why would anyone expect that a man would want the same qualities in his daughter as he would want in his life partner or wife? A marriage is a partnership and equal relationship; a father and daughter are not life partners nor are they in a romantic committed relationship; they are also not going to raise children together. Thus, the dynamics of each relationship are different, extremely different. Yes. I am stating the blaring obvious, yet it was not obvious to Danielle Pacquette or Sarah Jacoby. I will also reiterate here that the primary intention of the media is to shock, provoke and create conflict. By doing so, the media is able to drive more traffic to website and webpages, drive larger audiences to TV and radio shows. And the easiest way to boost audience numbers is to attack men as there will be very few repercussions. If these same writers were to attack women by twisting survey findings, the repercussions would be huge and the writers would be quickly condemned en masse. ‘When asked what qualities they want in in a wife, American heterosexual men said they value “attractive” and “sweet” women, a national survey recently found. Only 34 percent, however, said they wanted a romantic partner who is “independent”’ writes Danielle Pacquette in the Washington Post. This is the first paragraph to her article and what Danielle Pacquette deliberately fails to tell you is that men rated independence and sweetness equally – both at 34%. Therefore it is a blatant lie to say or imply that men in this survey preferred a sweet woman over an independent woman! No. They rated both traits equally – 34%. Also, Danielle Pacquette deliberately fails to tell you, in her opening paragraph, that men rated Intelligence as the primary trait they want in a wife or female partner. Nowhere in her article does she mention that Intelligence was deemed by men as the most prized trait in this survey. Further, both articles condemn men for not making Independence the primary quality they want in a wife/female partner. Yet, again, the writers fail to mention that men placed Independence in the top 3 qualities they want in their wife or female partner. As mentioned earlier, the writers omitted from their articles numerous critical findings from the survey. 1. Family first – today’s man values personal success with family over financial achievement! The new generation of males is evolving: younger men (18-49) are saying that being a present partner is more important than being a provider; older men (over 50) said the opposite. 64% disagree with the statement that popular American film and television has strongly influenced the way they think about being a man. 83% of men reported that their mothers had a positive impact not a negative impact in shaping them into the man they want to be. 74% of men reported their fathers had a positive influence. More than half the men reported that they are generally more concerned about making good impressions and earning the respect of other men than earning the respect of women. Also, read my article “How stupid are men?” about the way the media, TV, and advertising portray men as bumbling buffoons! 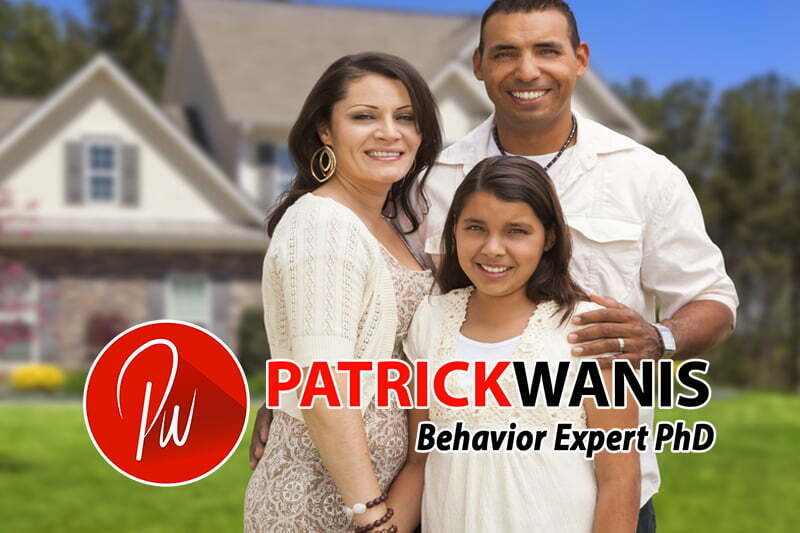 Patrick Wanis Ph.D., an apparently self-styled “Human Behavior & Relationship Expert”, doesn’t realize that characterizing study implications that he disagrees with as “lies” reveals much more about his character than it does about what he disagrees with, much less does it support his opinions. I also stated in my article that the reporters omitted key statistics to create a false finding from the survey. And incidentally, it was a survey I referenced, not a study; they are 2 different things. A survey is asking people to answer questions; a study is the observation of behavior, usually in a controlled situation. The part of the reporters’ claims that was not a lie but was an interpretation, was the interpretation they made about the survey statistics/findings that men want qualities for their daughters that are different to the qualities they want in female partner. I never said that they lied about that; I did say they don’t understand why men would want that, and that they made incorrect conclusions about the meaning and significance of those statistics in the survey. I explained that in my article. Incidentally, the Shriver Report Snapshot referred to their own survey as “groundbreaking” with “stereotype-cracking discoveries” but the reporters referred to it as ‘depressing’ and “double-standards.”What would you then say or conclude about the reporters’ stories and inaccurate claims? It is always easier for people to make personal attacks than to actually debate the point and subject at hand. You did that about me. I did not do that about the reporters – I did not attack their character; I attacked their claims and actions. Quiz – Are You An Emotional Hoarder?